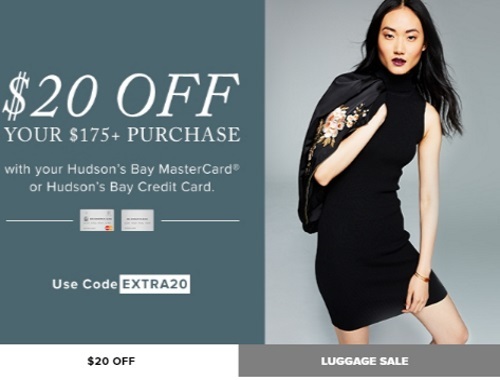 Hudson's Bay is offering $20 off when you spend $175 or more and pay with your Hudson's Bay Mastercard or Hudson's Bay Credit Card! Enter the promo code EXTRA20 at checkout. Offer is valid September 30-October 2, 2016.